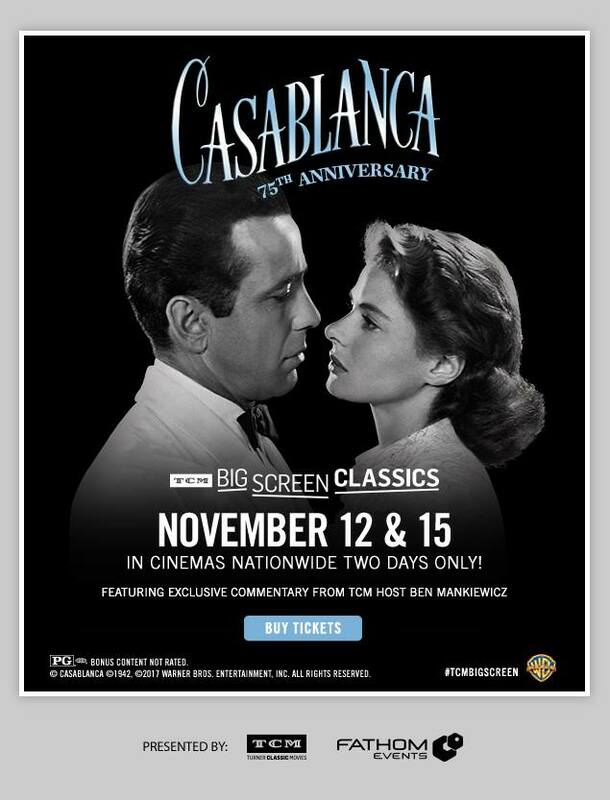 “`My favorite movie of all time on the big screen in November! This is a nationwide screening. Round up the usual suspects and let’s go see this timeless classic. “`Why is it rated PG? This entry was posted on Thursday, October 19th, 2017 at 5:12 pm	and is filed under Blog by Manny Pacheco. You can follow any comments to this post through the RSS 2.0 feed. Responses are currently closed, but you can trackback from your own site.